Tuljapur is popularly called the Land of the Tamarind trees. This religious place is famous for the Tulja Bhavani Temple. The temple is dedicated to Goddess Bhawani, one of Goddess Durga’s forms. The Goddess is believed to have been the family deity of the Bhosales during their reign. 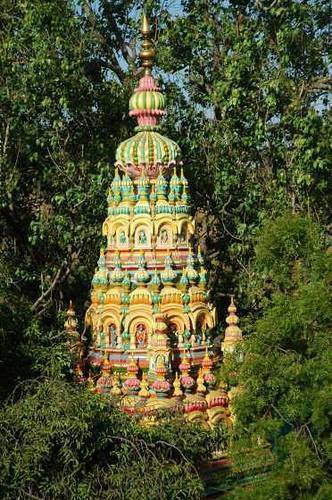 The temple is on one of the steep descending slopes of the Bala Ghat range. The town bustles with activities and tourists throng the place for Tulja Bhavani fair during the Navaratris in honour of the Goddess.